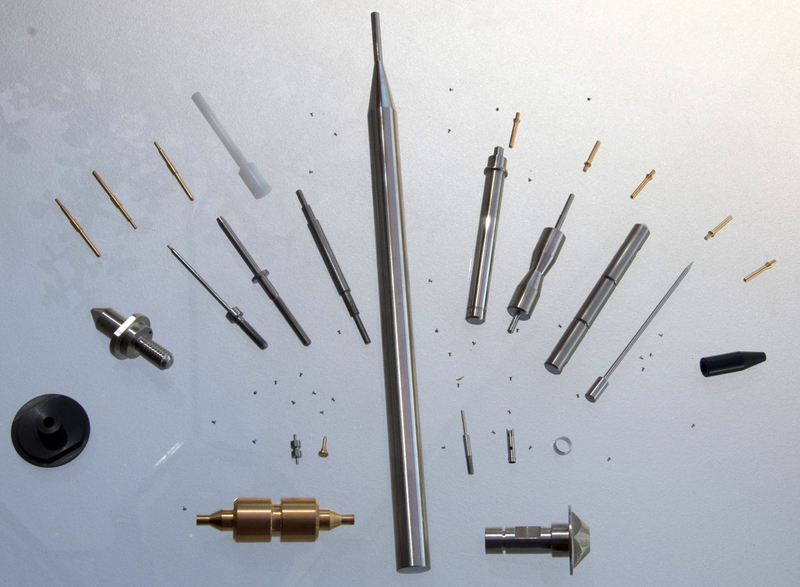 Precision engineered components for the Micro-Electronics, Computer, Medical, Formula One, Audio Connectors, Valve Manufacture, Watchmaking, Model and Fibre Optics industries. Precision engineering turned parts on a sub-contract basis. Modern multi-axis CNC sliding head machines with sub-spindle and milling capability, with "lights out" production to reduce costs. Microscopic parts (from less than 1mm diameter up to 20mm diameter maximum). Wide range of stainless steel, ferrous, non-ferrous and plastic materials machined to order. From small prototype batches up to high volume production runs. Prototype and high volume production runs. General milling, prototype components and toolmaking. We also have a wide range of NAMAS calibrated and traceable gauges for component qualification throughout the manufacturing process.